PNB MetLife India Insurance Company has filed the draft papers with capital markets regulator Sebi to float an initial public offering (IPO). The offer is of up to 49,58,98,076 shares of face value of Rs 10 each by way of an offer for sale by the selling shareholders. 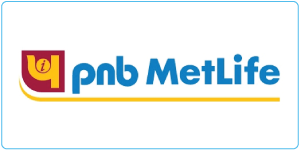 The price band for IPO is expected to be Rs 270-275 per share.The listing of shares will enhance the "PNB MetLife" brand name and provide liquidity to the existing shareholders, the draft paper said.